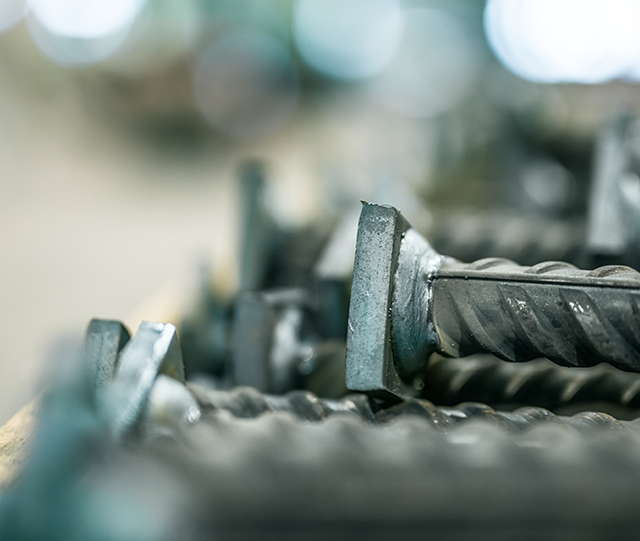 Our fastening products for concrete elements are located in the critical points of a building, which means that only best quality will suffice. Our purpose is to make life easier for our customers by producing high-quality products and tailored solutions from steel even on a tight schedule. We combine products manufactured in our workshop with our employes, concrete, steel to offer the best possible solutions. With a positive attitude and a laid back approach, we will fulfill our promises. Semko was established in 1975 as a welding workshop, manufacturing metal parts to be used in the construction industry. We are pioneers in our industry compared to other companies our size. Our key focuses are quality and personal service. Our main products are concrete adhesion and fastening components, cement handling equipment and lightweight steel structures. Our selection is comprises of customised products based on customers’ needs, products designed in-house and standard products designed for fastening of concrete elements. Our factory operates in accordance to the EN 1090-1:2009 + A1:2011 certificates. Production and products are supervised by Inspecta Oy and Nordcert AB. Our quality system meets requirements based on the SFS-EN ISO 9001 standard. We work as hard as our products perform. We are a reliable partner, helping you meet your deadlines. Our quality makes your construction work easier. We will provide a customised solution to meet your needs. Our product and service selection provides a strong foundation for our customers to succeed in their construction projects. We supply CAD drawings in support with all of our metal products. Learn more about our different solutions and contact our sales team. Delivering steel made with care from Semko’s workshop all around the world.